The need we say is the need of an outpouring of the Spirit of God. But, clearly, by definition, the Spirit of God can only be outpoured on and can only honor His own truth. The Holy Spirit cannot honor a lie. He cannot honor a negation of truth...So if we want the blessing of the Holy Spirit, clearly, we must make sure that our position conforms to His truth. 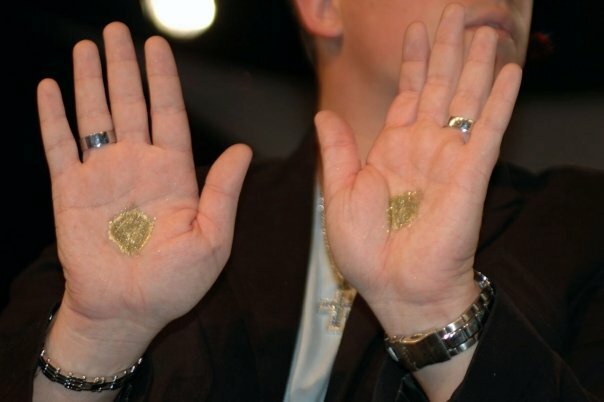 In 2000, a group including Bentley and former "Kansas City" prophet Bob Jones went to a conference in Oregon where they were "spiritually re-digging, trying to tap into those ancient wells from the 1950's" (2), these being supposed visitations of angels and spiritual power drawn from the past ministries there of John G. Lake and William Branham. After a dramatic experience there, and after several years of missionary revival crusades the Lakeland "Healing Revival" began, punctuated by Bentley's passionate promotion of the visions of William Branham, Bob Jones and others and his belief that he could impart a "spirit of revival" into the masses who came. Steve Hill was the catalyst. It was during a Father's Day service he held at Brownsville in 1995 that the impartation he felt he had received was poured into the congregation there. He had received an impartation from Sandy Millar earlier in the year. Brenda, wife of Pastor Kilpatrick, had made two trips to Toronto with other leaders from the church prior to June 1995. Michael Brown became the apologist for the movement. In October of 1996, Thomas Trask, General Superintendent of the Assemblies of God, called what was taking place at the Brownsville Assembly of God, a sovereign move of God citing the emphasis on prayer, and the preaching of holiness and repentance, and the number of people who have responded to the altar calls. The blessing had been brought from Toronto to England through Eleanor Mumford, assistant pastor of the South-West London Vineyard. In November of 1993 John and Carol Arnott travel to Argentina where Claudio Freidzon prayed for a special anointing on John and his wife. Previously they had been prayed for 50 times or more by Benny Hinn (September 1992) and by Rodney Howard-Browne (June 1993). In January 1994 invites Randy Clark, pastor of St. Louis Vineyard, to conduct meetings. Randy Clark had received the blessing from Rodney Howard-Browne at a meeting at Rhema Bible Training Center (founder Kenneth Hagin) held in August 1993. In John Arnott's words, God wanted to throw a party for the church. In late 1995 the church was disassociated from the Association of Vineyard Churches because the Vineyard couldn't endorse all that was happening there. The country began to experience a revival in 1982 following the Falklands War. Steve Hill served as missionary-evangelist for 8 years in Argentina with Annacondia and Freidzon. In 1992 evangelist Benny Hinn prayed for Freidzon that he would have a special anointing. Freidzon commented, "It was almost like an ordination service." Soon after the unusual manifestations began. Claudio would also receive the manifestation of holy laughter from Rodney Howard-Browne. Interesting note: Many of the leaders of these movements testify to experiencing spiritual drought/hunger/depresssion prior to receiving the blessing/impartation. From the above mentioned "renewal/revival/power" centers others have come to the forefront, either by pastors/lay leadership visiting these places and bringing "it" home or by their own local church ministry teams going to the locale of revival (Australia; New Zealand; Grand Rapids, Michigan; Sacramento, California; Renton, Washington; Florence, Kentucky; Toledo, Ohio; Anaheim, California). The steadfast belief that participants in the revival services (for ideally, there are no such things as "observers" in them) could be spiritually imparted with a visitation of God's Spirit which made them containers of revival power that could be transported and then easily dispensed where ever they went has always been behind this thinking. It has what made the residents of these far flung places around the world startled when a massive influx of hundreds and even thousands of revival pilgrims drive or fly in and make their cities their temporary living place. and the pilgrimages began. On both days Randy Clark and Steve Hill gave dramatic accounts of their experiences, thus when the invitation was given for the time of ministry, the people knew what was involved. 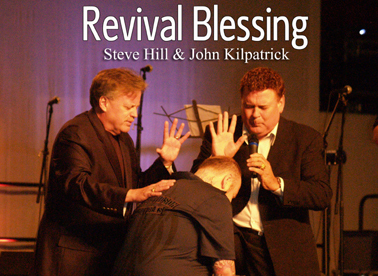 The format of these kinds of revival services are geared toward that end as well: an hour or more of worship (where some manifestations are taking place); a testimony time of what is taking place (reports include converted skeptics and manifestations) a preaching and/or teaching time where the move is defended and critics are denounced which is subject to "divine" interruptions that always end with ministry time, prayer lines, altar calls and the calling out of specific populaces or even individuals whom God supposedly has a word to deliver. where the anointing/blessing is imparted to a expectant/hungry crowd. It has been that format, however, in which church order is suspended and where the standards of discernment and caution are far more fluid and looser then what would be acceptable in a public Christian meeting, that has helped stir up no end of trouble in the Pentecostal and Charismatic worlds. The practices of impartation, the free acceptance of visions and "revelation knowledge" that teach questionable and even divisive doctrines, have become extreme manifestations of an aggressively sectarian and elitist spirit that has arisen in the church today. In 2000, just as the Brownsville revival was at its' height of popularity, the Assemblies of God released a document on "end time revival" that rejoiced for its advancement of spiritual blessing but which called for correction and curbing of the excesses. This brings us back to the original opening of this brief article. If D. Martin Lloyd-Jones' statement is correct (and I have no reason to refute it), then I have a difficult time endorsing movements that have their basis in unbiblical teaching (impartation/anointing) and practices (the "manifestations"). We are called upon by the proponents of these movements to "judge the fruit." (1) Lloyd-Jones, D. Martin. Revival. (Crossway, 1987) Excerpts from the book can be read here. Holy Laughter (Joseph Chambers, undated brochure).